In the world of corsetry, the classic corset was, is and always will be a special challenge. The creation of a perfectly fitted and non-squeezing corset requires a whole lot of experience. Women with an elegant waist, perfectly covered in a tight corset have a very special aura around them. Designer Alis, too, has been caught by this impression in her younger years, since because of her grandma she gathered extensive experience in fashion designer, quit her job as a theatre costume designer and founded the label Videnoir Haute Couture. In the center of Alis’ design, there stands the challenge of personal perfection and the challenge oft he customer’s wish for uniqueness and individuality. Every piece of her art, be it corsets, couture, lingerie or accessories, is created with love and the best of materials, all hand-crafted, which shows off her impressive experience in detail. 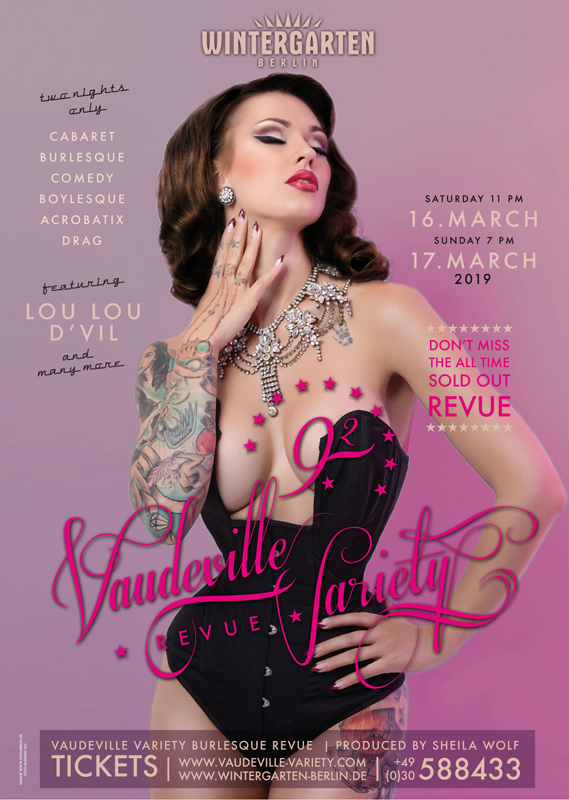 With the love for making corsets, Videnoir set its foot into the door of the burlesque scene, the wave gothic scene and the fetish scene. The influences of movies, cosplays, comics and music take a major role in the creation of the fine pieces and took the label to wave gothic conventions and onto the bodies of various burlesque starlets worldwide. Videnour Haute Couture loves to play with the detail-rich lace-decorated transparency and pearl decor. Here, you will find aspects of steampunk and love for delicate lingerie. Those of you who would like to get to know more about the Italian haute couture label should definitely take a look at the homepage of Videnoir. But, of course, Instagram, Facebook and Pinterest are also helpful sources to check out the new creations of Alis. And for those of you who do not only want to look at these textile pieces of art: You can by them online on ETSY.